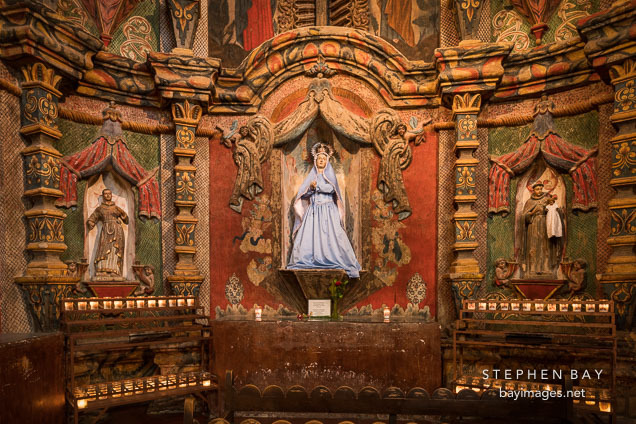 Photo: East transept of the Mission with statue of the Virgin Mary. San Xavier Del Bac, Tucson Arizona. East transept of the Mission with statue of the Virgin Mary. San Xavier Del Bac, Tucson Arizona.